If you’ve followed Choice for any time then you know we LOVE sharing our current obsessions. The men in our lives hear about these obsessions too, but they don’t get as jazzed about the beauty products, new shoes and shows like we do! However, this week we decided to turn the tables on our husbands (and one fiancé) and share what they’re currently obsessing over! It was no surprise to me that my husband picked golf because it’s his forever obsession. If the Titans aren’t playing and he isn’t traveling for work, you’ll find Jeremy at the golf course! My current obsession has easily been my top obsession for almost three years now. 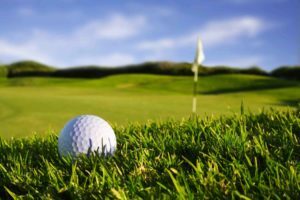 In the spring of 2016, I got the golf bug, and I have not been able to shake it since. The CEO of my company once said he didn’t play golf because it is far too easy to obsess over. He was 100% right about this! It’s absurd how one moment you care very little about the sport, and the next moment your google history is filled with different searches for drivers, putters, woods, irons, hybrids, and the elegant, but capable chipping wedge. It’s hard to tell if my wife hates the idea of me spending multiple hours each week on the course or loves the time to herself. Regardless you better believe there is a very strong GOLF line in the budget each month. I mean, what’s not to love about the Greatest Game there is? Beautiful outdoor landscapes, time to yourself, time with friends, beers can be added on certain occasion, oh and the game depends on human decency and honesty to work. I would challenge anyone to spend an hour at the driving range and not become addicted to the pure, stress-releasing, awesomeness of smacking a little ball 150 yards. As for me, I think this is an obsession that might stick around for a while. I’m a true crime addict. Was there a third shooter on the grassy knoll? Were Jon Benet’s parents involved in her murder? Is Scott Peterson just a jerk or could he really kill his pregnant wife and unborn child? 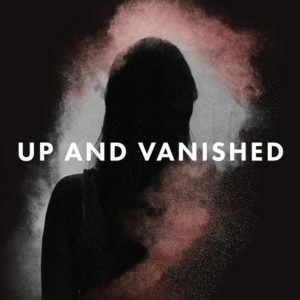 So, when Heather introduced me to Payne Lindsey’s Up and Vanished podcast last year, we were sucked into the story of missing and unfound Tara Grinstead and listened to the entire season on one road trip together. No surprise, I’m loving season two of Up and Vanished. Unfortunately, though, I’m having to listen in real time and not binge episode after episode in one sitting. The way Payne sets up the background of the character(s) and the community that surrounds them is where I get sucked in. It’s almost as if you are sitting down in a local restaurant and know everyone there – immersed in their culture and town. It helps you feel like you know the people in the story because they’re your neighbor. I also appreciate the way Payne explores many options of what may have happened to the missing person and isn’t afraid to ask the questions that perhaps no one else has even considered. The podcast is intriguing without necessarily going all “conspiracy theory.” It always hooks me in every time I start an episode, beginning with the eerie music. You feel so entrenched. The live interviews and hearing the stories directly from the mouths of the people affected…chilling. Here’s hoping that Payne solves this mystery like in Tara’s case. I work in the brewing industry, so I am always looking out for new, unique types of beer. Similar to Kerry’s obsession with anything pumpkin this time of year, I get really excited about Fall beers like Oktoberfest or pumpkin flavored. My favorites in past years have been Yee-Haw Oktoberfest, Leinenkugel Oktoberfest, and Shipyard Pumpkinhead Ale. 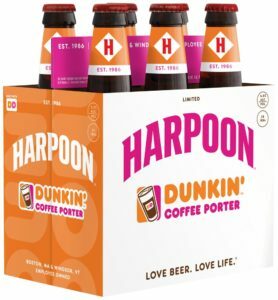 This Fall, I was excited to see an interesting addition to the fall beer selection – Harpoon Dunkin’ Coffee Porter. Combining two of my favorite things – beer and donuts – this classic coffee porter with a dark brown color smells like espresso and has a dark chocolate, roasted flavor. I highly recommend enjoying this beer with a steak, pork chop or some beef stew. You can look up where to find this beer in your area using Harpoon’s beer finder. Cheers! There are hundreds of reasons why I love my Warby Parker’s. First and foremost, the guest service in picking up my sunglasses was second-to-none. Each store is loaded with helpful experts to ensure the finest product suitable for your specific needs. For myself, I love the versatility of my sunglasses. I can wear them in any situation without compromising my classic and professional look. They provided me with prescription lenses so I can still wear them, even if I forget my contacts. So whether it’s beautiful fall hikes, tailgating at SEC football games, or lazy Sunday drives, my Warby’s are packed and ready to go wherever the day takes me. About two years ago, we decided to keep our internet and cut out cable TV. Our cable bill was one of our largest expenses, and we didn’t even feel like we watched much TV. With the addition of a digital antenna, we were still able to get ABC, NBC, CBS, and Fox. We also subscribed to Netflix and Hulu, so there was never a shortage of entertainment options. But I missed being able to watch ESPN, Fox Sports South, and honestly the Food Network. One night while hanging out with friends I made a comment about how I wished there was a way I could just pay for the channels I wanted. They asked me if I had ever heard of Sling TV, which at that time I had not, and the rest is history. For those of you not familiar, Sling TV is a streaming live TV service that carries all the major networks. They even have smaller add-on packages with just kid channels, just movie channels, just lifestyle channels and so on. There is no long-term contract or equipment required, so you can subscribe for as short or as long as you’d like. I am currently subscribed to Sling TV for football season, and I have been watching tons of games from the TV and on my phone through their app. What products are the men in your life obsessing over? We’d love to tell our men or gift it them for Christmas!